Holiday happenings guaranteed to spruce up your schedule. Utahns looove Christmas. Who’da thunk? Truth is, if we tried to list every festive activity and event here, we’d never leave the office. Nonetheless, here are 25 things to add to your Christmastime to-do list—all local and all fun—no matter what holiday you’re celebrating this month. 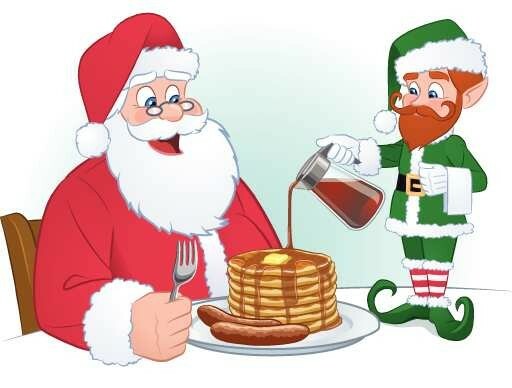 Breakfast is the most important meal of the day, so why not spend it with jolly old Saint Nick? At The Discovery Gateway children’s museum, you can do just that. Take your family (or go alone; we won’t judge), get some exclusive museum playtime, make some memories, snap some photos and really get to know the person who’s been sneaking into your house in the middle of the night on a yearly basis as you both pig out on fresh pancakes, bacon, sausage, cheesy scrambled eggs, pastries, fresh fruit, coffee, hot chocolate and juice. Want to be the most popular parent, friend, significant other or staff member? 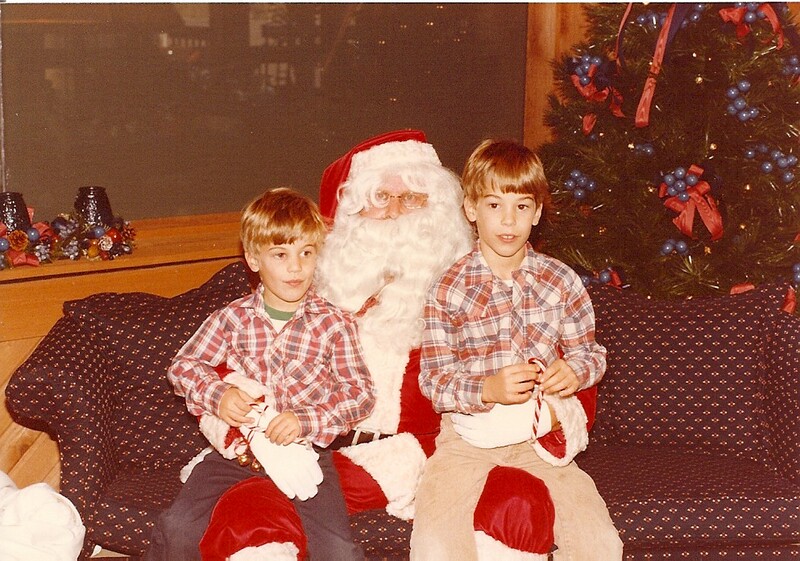 Hiring this professional Santa to make an appearance at your next Christmas gathering should do the trick. He can scare your kids into behaving, assist in popping the question to your yuletide-obsessed partner or bring a dull party to life with the help of his trusty sidekick elves. Santa Ed says the diciest moment in his career was when he barged into the wrong house by accident. “I was to do a surprise visit to someone's house, but was given the wrong address,” he says. So, don’t be that guy. Bonus: The beard is real. Local film buffs, we have a little something for you, too. Salt Lake Film Society takes over Broadway Centre Cinemas with a full lineup of new and old holiday movies for all ages. Arrive at 10 a.m. to make your own waffles, chill with Mr. Claus and warm up with a steaming cup of wassail (which I just learned is hot mulled cider). Movies start at 11 a.m., including A Christmas Story and Polar Express, with more to be announced. Best part? It’s all free. Join hundreds of drunk Santas as they stumble the streets of downtown SLC for the 10th year of Utah’s largest pub crawl. SantaCon 2016 takes over 18 bars and clubs, offering games, contests, a pre- and after-party to benefit Toys for Tots. The crawl starts at Sky (149 W. Pierpont Ave.), where you can pick up a map and donate an unopened toy. All participating bars offer free entry, and although attendees aren’t required to donate, it’s “first and foremost a fundraiser,” event organizer Xavier Lang of Red Lotus Entertainment says. According to him, last year’s crawl garnered more than 400 toy donations and another few hundred in cash. RSVP to the event on Facebook here. If you miss this one, there’s another one in Ogden on the 17th. Itching for some good old-fashioned caroling? The 32nd annual Christmas Carol Sing-Along can fix that. Offering “musical numbers by Jenny Oaks Baker & Family Four and the West Valley Symphony of Utah with Donny Gilbert as the music director and Sterling Poulson as the guest conductor,” this massive event is sure to be one your family won’t soon forget. And since admission is free, you can go crazy and invite them all! Teens and young adults age 14-20, this one’s for you. Utah Pride Center's Youth Activity Center hosts their third annual Masqueerade Winter Ball on Friday, Dec. 16, opening the doors of the Viridian Event Center for a glamorous celebration of LGBTQ pride, and, of course, the holiday season. The theme this year? Frozen Glamazon. Think blue and silver sequins, animal ears sprayed with glitter, wild hair and bold makeup. Wear a bodysuit, a tux, a ballgown, an animal costume, go in drag or go casual—the options are endless as this is an inclusive and judgement-free zone. There’s no official dress code, but going all out is highly encouraged. Plus, it’s fun! Don’t forget your mask and your dancin’ shoes. Refreshments are provided. If you’ve seen The Nutcracker a zillion times and are looking to switch it up this year, local dance companies Now-ID and BBoy Federation have gotchu. It’s Not Cracker is a fresh take on the classic ballet. While the show stays true the story’s roots, the orchestra has been swapped out for a DJ, and instead of ballet, choreography is infused with contemporary and urban dance styles. “It will be different, contemporary, unique, fun, diverse and serious, too,” the show’s website says. Hosted by Drag Brunch SLC and Viva La DIVA Show, this new holiday event combines drag, theater, comedy and everyone’s favorite meal of the day—brunch. Get ready to laugh, sing along and let the mimosa-fueled fun commence. At Broadway Divas Christmas Brunch, kids from 1 to 92 have the chance to meet and mingle with SLC’s most fabulous queens and engage in interactive performances by professional impersonators, live singers and hilarious entertainers while feasting on a continental buffet. Expect plenty of show tunes, holiday favorites and a few group numbers thrown into the mix. Oh, and did I mention mimosas? Where my HP fans at? If you're anything like me, you probably don't need much convincing here. A Fairly Potter Christmas Carol is “an unauthorized parody” of A Christmas Carol (duh) inspired by the Harry Potter series, tossed with sporadic references to holiday favorites like How the Grinch Stole Christmas and Frozen. What do all these things have in common, you ask? Uh, magic, obviously. Santa is hired as Hogwarts’ new Defense Against the Dark Arts teacher, Dumbledore tries to kidnap him, and entertaining mayhem ensues. It’s funny, it’s heart-warming, and, well, you can’t go wrong with both Potter and Christmas in the title. To quote The Polar Express’ brilliant and mysterious conductor’s famous words, “One thing about trains: It doesn't matter where they're goin'. What matters is deciding to get on.” He couldn’t have been more right, and the sentiment applies here, too. So break out those Christmas jammies and get jazzed for a ride on the North Pole Express that will make you feel like a little kid again. Sip hot cocoa, sink your teeth into Mrs. Claus’ famous chocolate chip cookies, sing along to holiday favorites and bask in the spirit of Christmas on your way to the North Pole (which is apparently only 45 minutes away!). Book your tickets now; they’re selling out fast. It’s common knowledge that everything is better on a boat, and that includes Christmas. You know those drive-thru light displays? This is kind of like that, only it’s a cruise along the Provo River. The shore is lined with displays depicting characters and scenes from traditional holiday stories, all adorned with thousands of lights whose reflections twinkle on the water. Festive music will be played and hot cocoa and other concessions will be for sale. Bring your whole family and be sure to bundle up for cold weather. If you’ve been in downtown SLC recently, you've probably seen the Jingle Bus decked out from hood to wheels in cheerful decorations. You really can't miss it. Through Christmas Eve, it offers free rides to visitors, with stops at major shopping areas, including City Creek Center and The Gateway, as well as Gallivan Center. It also doubles as a tour bus with a festive twist, taking the scenic route so riders can enjoy the lights and decorations throughout the city while also learning some fun facts about the Beehive from volunteer guides on board. If you’d rather opt for an event that involves less effort and more class, check out Utah Symphony’s upcoming holiday concerts. On the bill this season is Cirque Musica Holiday Spectacular conducted by Bob Bernhardt, the family favorite Here Comes Santa Claus by Rei Hotoda, Celtic Woman’s Home for Christmas composed by Lloyd Butler, and Harry Potter and the Sorcerer’s Stone (back by popular demand), featuring a screening of the film accompanied by a live performance of the original score. There’s a good reason downtown traffic becomes a total nightmare this time of year. Locals and outsiders alike flock to SLC’s Main Street to complete their holiday traditions, often starting at Temple Square. Each year, the grounds are decked out in extravagant lights and displays—including two Christmas trees and several nativity scenes celebrating cultures from across the globe—and various choirs and instrumental groups perform on a nightly basis. From there, the experience continues with a stroll down Main Street (don’t miss Macy’s candy-coated window displays on the way), and ends at Gallivan Center, where nearly every branch on every tree is wrapped in lights. If you’re feeling adventurous, there’s also an outdoor ice skating rink here, and on Friday and Saturday nights through Dec. 23, there are food trucks and a DJ spinnin’ live yuletide jams. Packed with ideas for 10 distinct people on your list, our hot-off-the-press Gift Guide features carefully curated selections for everyone on your list, including gifts for the outdoorsy types, art snobs, audiophiles, foodies, booze hounds, expats, kids, co-workers and even gifts for those you’d rather not be gifting to. Notable local retailers include Cahoots (878 E. 900 South, 801-538-0606), Cabin Fever (552 S. 602 East, 801-363-0828), Spark (310 S. 700 East, 801-467-1574), Boozetique (315 E. 300 South, 801-363-3939), The Children's Hour (898 S. 900 East, 801-359-4150), Hammond Toys (multiple locations), Cotopaxi (74 S. Main, 844-268-6729) and good ol’ Deseret Industries, of course. There’s nothing better than a towering, sparkly Christmas tree to make even the Grinch-iest of hearts grow three sizes bigger. But let’s face it—the ones in downtown SLC are a little puny, and shamelessly fake. For the real experience, head to Traverse Mountain, where you can find Utah’s tallest (real!) Christmas tree. It even has real ornaments! While you’re there, catch a sleigh ride with your crew to Santa’s cottage, where you can check in with Kriss Kringle himself to negotiate your status on this year’s naughty list. If it turns out you’re getting coal, no worries—treat yo’self at that outlet mall. Get immersed in a glittering winter wonderland without even leaving your car. Boasting the state’s biggest drive-thru light show, Christmas in Color goes all out at their two locations which have various displays decorated with 1 million lights. There are giant twinkling trees, moving Santas, elves and snowmen, and lit-up tunnels like nothing you’ve ever seen before—all synchronized with seasonal music playing right in your car so you can stay warm and toasty. Tickets are available at the gate as space permits, though they highly recommend purchasing them online to ensure you’ll get in. Ashton Gardens at Thanksgiving Point has been transformed into a magical winter wonderland. This mile-long stroll features a wide range of captivating displays and decorations, like a 40-foot hill blanketed with pixels that dance to music and produce moving images of blooming flowers and flying reindeer, or the grand 120-foot-tall tree that glows and towers over it. There are lanterns, nativity scenes, sculptures, even activities for the little ones—all in a beautiful garden setting. Whether you’re looking for a fun night with the family, a romantic date with your special someone or a peaceful stroll by yourself, you’re bound to have a good time here. Special ticket and reservation packages are available, including one that provides you with your own private fire pit. Local audiophiles, rejoice. There are plenty of holiday-themed shows to choose from this month that extend far beyond the kid-friendly ones we’ve mentioned thus far. On Dec. 9, the annual Christmas Jam takes the stage at SLC’s The Depot, featuring a variety of local musicians rocking out for an all-ages show (don’t worry, you can still buy drinks at the bar) benefitting The Road Home shelter. For you country lovers, Zermatt Utah hosts two shows: A Country Christmas with Charley Jenkins & Friends on Dec. 10. and A Very Merry Bar J Christmas with the Bar J Wranglers on Dec. 12. Also, LeAnn Rime’s Today is Christmas Tour makes a stop at the DeJoria Center on Dec. 16. Other notable shows include Latin Unity Holiday Jam at The Complex, Suburban Hell Kill at Club X, The Funky Furnace Winter Soul-Stice at The Urban Lounge and the Rockin’ Christmas Charity Event at The Garage. If you’ve yet to see the gorgeous new Eccles Theater downtown, get on it. Through the end of the month, several seasonal shows fill the bill: A musical theater adaptation of the classic film, Irving Berlin's White Christmas (through Dec. 11) promises a fun show for the whole family, with romance, comedy and performances of “some of the greatest songs ever written.” Aimed at more mature audiences, the engaging and genre-bending musical Hedwig and the Angry Inch (Dec. 20-24) tells the heartbreaking story of “the most unique character to hit the stage.” Finally, Cirque Dreams Holidaze finishes out the year with a bang, as 20 different acts and 30 artists incorporate circus-like costumes, acrobatics, music and ornaments in a spectacular show from Dec. 29-30. For the 10th year, ZooLights remains one of the most popular holiday destinations for local families. More than 200 lit-up animal and Christmas displays fill the grounds, accompanied by festive music and various activities and attractions like puppet shows, animal presentations, s’mores-making, carolers, carousel rides and visits from Santa. Check their online calendar for the full schedule. While you’re there, don’t miss the 135-foot illuminated tunnel; walking through that thing feels like traveling to another dimension. It’s no surprise RubySnap got a shout-out in our recent Best of Utah issue. As our music editor Randy Harward claims, it’s the “best place to exacerbate your emotional eating problem.” It also doubles as the best place to buy fresh, locally made cookies for Santa. I mean, don’t you think he’s sick of chocolate chip and sugar cookies? If you really want to get on his good side this year, switch it up. RubySnap’s menu is overflowing with unique flavors, fillings, toppings and more. A few suggestions: the Betty (an oatmeal cookie paired with apricots and tart Montmorency cherries), the Margo (Chocolate cinnamon dough with a milk chocolate mint center), the Virginia (ginger and dark molasses rolled in raw turbinado sugar) or the Mia (vanilla bean sugar cookie with a buttercream beet frosting). Or better yet, one of each. The holidays can be rough. Take the edge off with a drink at one of the many local cocktail bars offering seasonal specials, like downtown SLC’s new Good Grammar. Try the Basic Bish ($10), a concoction of rye bourbon, fernet, pumpkin spice and bitters, sprinkled with freshly ground cinnamon; or the Sleepy Hollow ($9), with Knob Creek Bourbon, Pimm’s, maple and nutmeg. If you’d rather booze up at home, opt for Ogden’s Own Five Wives Sinful cinnamon vodka or Porter’s Fire cinnamon and vanilla whiskey. Beer nuts, seasonal brews abound this month. A couple worth mentioning are Squatter’s Holiday Spiced Ale and RedRock’s Griswald's Holiday Ale. And there you have it. What are some of your favorite SLC holiday activities? Harvey has been City Weekly's grammar-savvy copy editor since November 2015. The Portland native has a B.A. in journalism from the University of Oregon, and is a lover of sushi, IPAs and feminism. Orem entrepreneur's Genderbands raise money for female-to-male top surgery grant. Rachel Jensen on educating and empowering survivors of intimate partner sexual violence through The Walk of No Shame. Humane Society of Utah's Jamie Usry says local beer and dog adoptions make the perfect pair.